Attack the outback or just cruise the urban streets with this all-new military styled wheel from ROH. Attack the outback or just cruise the urban streets with this all-new military styled wheel from ROH. 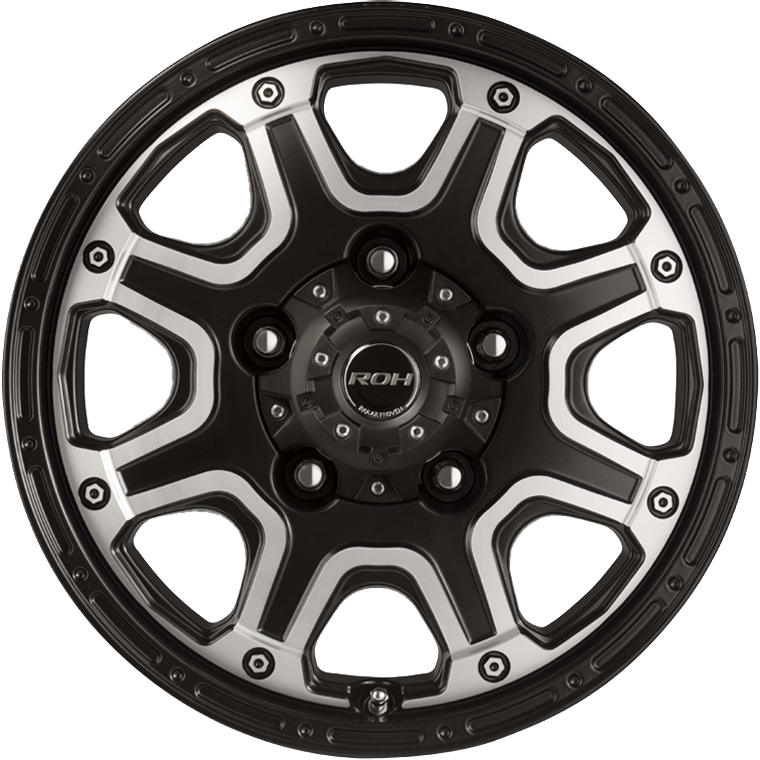 Available in 16x8 and 17x8, ROH Octagon comes in stealthy full matt black or matt black machined for that tough off-road look. Octagon is 100% Australian-made and surpasses Australian Standard AS1638 for guaranteed off-road performance and up to 1,250kg load rating per wheel. Available for all positive offset applications such as Ranger, BT50 and Hilux as well as for LC100, LC200 and 100 Series 0P fitments. ROH - Dakar Proven Wheels.